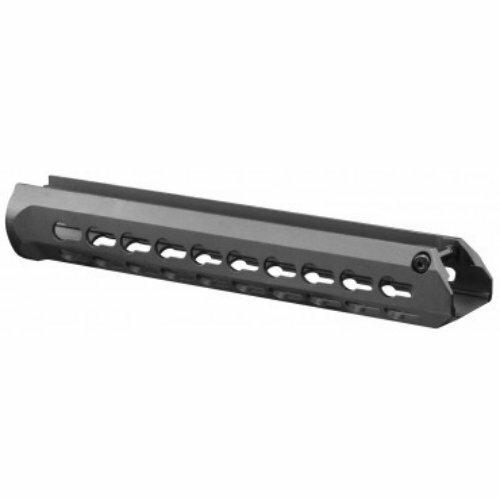 HK G3K HK93 length keymod handguard made by Aim Sports. Fit all HK93 carbines and clones. Also fits the G3K and PTR91 rifles using shorter HK93 length handguards and cocking tubes. Great quality at a fantastic price. 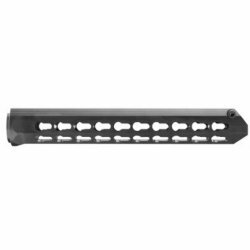 This sleek streamlined design is an ultra low profile handguard with generous mounting space to accept all KeyMod accessories. 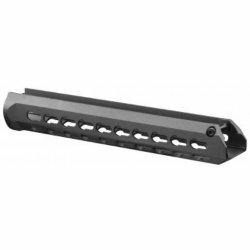 Superior ergonomics and simple, drop-in installation makes this the best HK pattern rail on the market. * One-piece Design Quick Fit Metal KeyMod Handguard System for G3K, HK93 and Variants. * Perfect Fit on Both Original German Versions and Clones. * Great Zero Retention Capability for All Accessories Installed. * Friendly Installation, No Gunsmithing Required. * Finish: Black Hard Anodized. * Weight: Only 5.8 oz.